Here on Barstow’s Longview Farm, we raise about 550 animals for dairy. But we also raise 20 steers each year for our Barstow’s Farm Raised Beef! The beef – ground, patties, steaks, and roasts, is exclusively sold at Barstow’s Dairy Store and Bakery and can be found in our freezer section. Burgers are not on our regular menu. And then, on occasion, we throw a party! Once a month in the spring, summer, and fall, we host a Burger Night. And once a year we host Burger Fest, the biggest event on the farm. 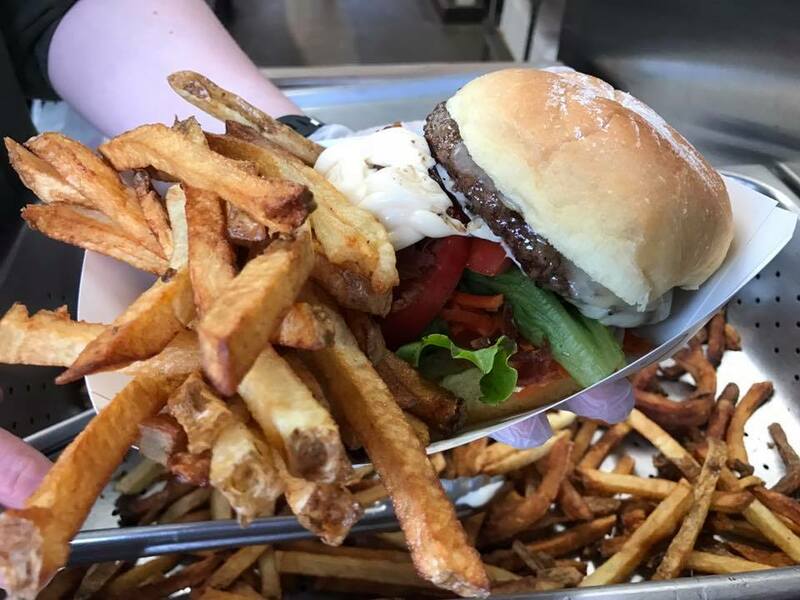 We grill up our burgers to order, complete with local, in season flavors, wagon rides, live music, sunsets, and the adult beverage of your choosing. *Menu and prices are subject to change without notice. Visit our beef page to see our beef cuts, price per pound, and how our animals are raised. Click here for July 21, 2018 Burger Fest details!